1. Hualei Wang, Wenyuan Gao, Huihui Sun, Lifeng Chen, Lujia Zhang, Xuedong Wang, an d Dongzhi Wei*, Protein Engineering of a Nitrilase from Burkholderia cenocepacia J2315 for Efficient and Enantioselective Production of (R)-o-Chloromandelic Acid, Applied Envi ronmental Microbiology, 2015 81:24 8469-8477. 2. Xin Gao, Chengcheng Zhao, Ting Yu, Shengli Yang, Yuhong Ren, Dongzhi Wei*, Constr uction of a reusable multi-enzyme supramolecular device via disulfide bond locking, Chem ical Communications, 2015, 51, 10131—10133. 3. Shujing Zhu , Xiaoqiang Ma , Erzheng Su, Dongzhi Wei*, Efficient hydration of 2-amino -2, 3-dimethylbutyronitrile to 2-amino-2, 3-dimethylbutyramide in a biphasic system via an easily prepared whole-cell biocatalyst, Green Chemistry, 2015, 17, 3992-3999. 4. 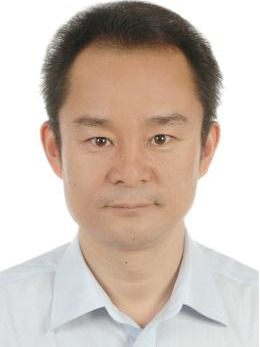 Dongbing Cui, Lujia Zhang1, Shuiqin Jiang, Zhiqiang Yao, Bei Gao, Jinping Lin, Y. Ada m Yuan and Dongzhi Wei*, A computational strategy for altering an enzyme in its cofact or preference to NAD(H) and/or NADP(H), FEBS Journal, 2015,282(12):2339–2351. 5. Xin Gao, Shuai Yang, Chengcheng Zhao, Yuhong Ren*, Dong-Zhi Wei*ï¼ŒArtificial multi enzyme supramolecular device: highlyordered self-assembly of oligomeric enzymes in vitro and in vivoï¼ŒAngewandte Chemieï¼Œ2014ï¼Œ126ï¼ˆ51ï¼‰ï¼š14251-14254. 6. Yao, Kangï¼ŒXu, Li-Qinï¼ŒWang, Feng-Qing*ï¼ŒWei, Dong-Zhi*ï¼ŒCharacterization and engi neering of 3-ketosteroid-Delta(1)-dehydrogenase and 3-ketosteroid-9 alpha-hydroxylase in Mycobacterium neoaurum ATCC 25795 to produce 9 alpha-hydroxy-4-androstene-3,17-dione through the catabolism of sterolsï¼ŒMetabolic Engineeringï¼Œ2014ï¼Œ24ï¼š181-191. 7 Zhang, Lujiaï¼ŒTang, Xiaomangï¼ŒCui, Dongbingï¼ŒYao, Zhiqiangï¼ŒGao, Beiï¼ŒJiang, Shuiqi nï¼ŒYin, Boï¼ŒYuan, Y. Adamï¼ŒWei, Dongzhi*ï¼Œ A method to rationally increase protein stability based on the charge-charge interaction, with application to lipase LipK107ï¼ŒProtei Scienceï¼Œ2014ï¼Œ23ï¼ˆ1ï¼‰ï¼š110-116. 8. Yin, Boï¼ŒCui, Dongbingï¼ŒZhang, Lujiaï¼ŒJiang, Shuiqinï¼ŒMachida, Satoruï¼ŒYuan, Y. Ada m*ï¼ŒWei, Dongzhi*ï¼ŒStructural insights into substrate and coenzyme preference by SDR f amily protein Gox2253 from Gluconobater oxydansï¼ŒProteins: Structure, Function, and Ge neticsï¼Œ2014ï¼Œ82ï¼ˆ11ï¼‰ï¼š2925-2935. 9. Liu, Xuï¼ŒWang, Chaoï¼ŒZhang, Lujiaï¼ŒYao, Zhiqiangï¼ŒCui, Dongbingï¼ŒWu, Liangï¼ŒLin, J inping*ï¼ŒYuan, Yu-Ren Adamï¼ŒWei, Dongzhi*ï¼ŒStructural and mutational studies on an a ldo-keto reductase AKR5C3 from Gluconobacter oxydansï¼ŒProtein Scienceï¼Œ2014ï¼Œ23ï¼ˆ1 1ï¼‰ï¼š1540-1549. 10. Gao, Xinï¼ŒNi, Kefengï¼ŒZhao, Chengchengï¼ŒRen, Yuhong*ï¼ŒWei, Dongzhi*ï¼ŒEnhancement of the activity of enzyme immobilized on polydopamine-coated iron oxide nanoparticles by rational orientation of formate dehydrogenaseï¼ŒJournal of Biotechnologyï¼Œ2014ï¼Œ188ï¼š 36-41. 11. You PY, Qiu J, Su EZ, Wei DZ*, Carica papaya Lipase Catalysed Resolution of β-Amin o Esters for the Highly Enantioselective Synthesis of (S)-Dapoxetine, European Journal of Organic Chemistry, 2013, 3: 557-565. 12. Ni, Kefeng; Lu, Huimin; Wang, Cunxun; Black, Kvar C. L.; Wei, Dongzhi; Ren, Yuhong, Messersmith, Phillip B., A novel technique for in situ aggregation of Gluconobacter oxyda ns using bio-adhesive magnetic nanoparticles, Biotechnology and Bioengineering, 2012, 10 9(12):2970-2977. 13. Ni K, Zhou X, Zhao L, Wang HL, Ren YH*, Wei DZ*, Magnetic Catechol-Chitosan wit h Bioinspired Adhesive Surface: Preparation and Immobilization of v-Transaminase, PLoS One, 2012, 7(7) :e41101. 14. Zhang C, Fan K, Zhang W, Zhu R, Zhang L, Wei DZ*. Structure-based characterization of canine-human chimeric uricases and its evolutionary implications. Biochimie. 2012,94 (6):1412-1420. 15. Yao K, Wang FQ, Zhang HC, Wei DZ*. Identification and engineering of cholesterol oxi dases involved in the initial step of sterols catabolism in Mycobacterium neoaurum. MET ABOLIC ENGINEERING, 2013, 15:75–87. 16. Liu X, Yuan Z, Yuan Y, Lin JP, Wei DZ*. Biochemical and structural analysis of Gox2 181, a new member of the SDR superfamily from Gluconobacter oxydans. Biochemical a nd Biophysical Research Communications. 2011, 415(2): 410-415. 17. Wang JQ, Tao XY, Zhang YF, Wei DZ*, Ren YH* et al. Reversion of multidrug resistance by tumor targeted delivery of antisense oligodeoxynucleotides in hydroxypropyl-chitosa n nanoparticles. Biomaterials, 2010, 31(15):4426-4433.